1959 Les Paul Heavily Aged model with hand-selected superb Flame Maple top and Kentucky Bourbon fade finish which leaves dark red shade on the upper body. Fine weather check and paint peeling on the body back have been boldly reproduced by aging processing, this guitar has a well-played vintage look. Equipped with two custombucker pickups. Pegs and knobs have been dressed up to DMC product, and three of four original knobs come with the guitar. There is no play-wear, frets remain more than 90% and o visible wear and the neck and the truss rod are both fine. 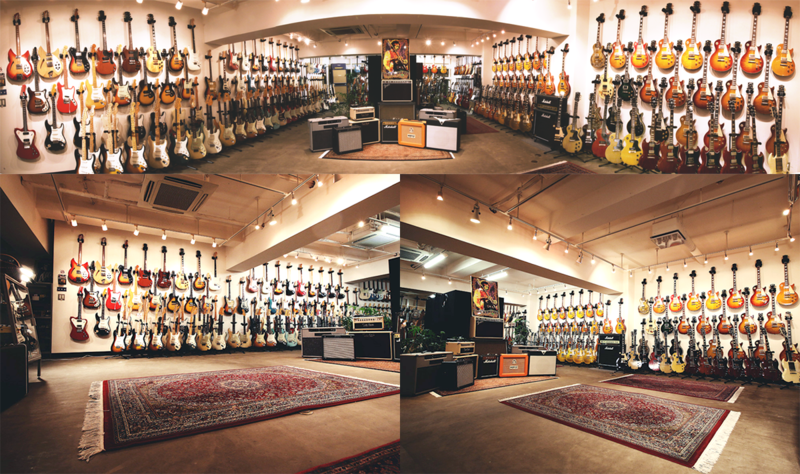 It comes with Hand selected Certificate in addition to the custom shop authentication.